Lutunji Abram, M.A. has always had a sweet tooth but never thought baking would become her business. Up until this year, her work had been primarily focused on organizational leadership, community development, and diversity and inclusion. Then she hit an employment slump and launched her own southern desserts enterprise. While she still enjoys work via Voices of Effective Change, her community-based consulting service and resource company, she is already aiming to take her pies international. Her offerings, including a much-in-demand peach cobbler dubbed “Harriet’s Escape,” along with a “Dr. 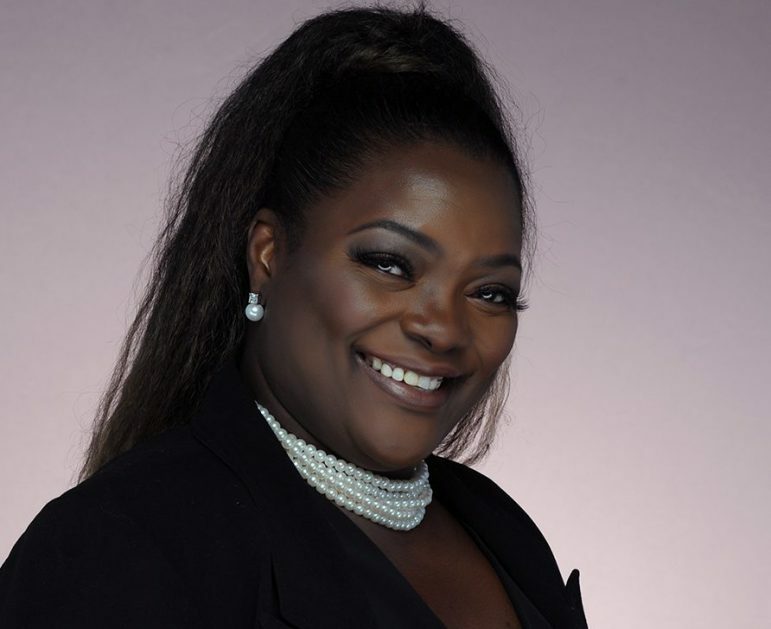 T. Adams Philosophy” pecan cobbler and “Exquisite Nicksology” macaroons, are already on the menus at four different restaurants, and she’s working on getting stocked in grocery stores. Here, we chat with the newly minted entrepreneur about her succulent southern-style creations and why it’s about more than just desserts. Lutunji’s Palate: I was literally blackballed from employment. Here I am, an African American woman, bright, articulate, master’s degree, [and] I was blackballed from the workforce. MSR: Were you not even getting interviews? And, that’s literally what’s happening. What was meant for evil really turned out for my good. MSR: It sounds like what you would consider your business’ hero product is the peach cobbler. LP: Absolutely. And the best thing about that is, I make a vegan, a regular buttery buttery, and by special request, a totally gluten-free cobbler. That’s where the experimentation came in. MSR: Do you feel like because of that revelatory moment that got you to start the business, it makes even more sense that you are serving up such a legacy desert? LP: Absolutely. And the hook that I add to it is, I don’t make the traditional crust. I make a homemade organic coconut crust. MSR: So, it gives you an out from being compared to a classic cobbler? LP: There you go. I love that. Absolutely. MSR: Even though your business is quite new, what has been your biggest challenge so far? LP: The biggest challenge I’d say right now is the manpower, having demand being greater [than we can supply], which I’m excited about. It’s a challenge, but I love challenges because [they] help me put my thinking cap on and be creative and figure out how to accomplish this goal. And that’s what I’m currently working on. MSR: What is the most rewarding part of owning your business? LP: The most rewarding part is [that] I’m doing something that I love and that brings peace — and that I’m putting yummy stuff in other people’s tummies. MSR: What is your vision or goals for your business? LP: My vision and my goals for my business is [that] Lutunji’s Palate will go international. My goal for that is to actually even turn the business side into it where [I would create] almost like an education center and train young parents in the baking industry. MSR: So you would be teaching people how to make what you make fresh instead of just being franchised in a supermarket? LP: Absolutely, absolutely. That is the goal, and it’s pretty much a done deal where [Lutunji’s Palate] will be in grocery stores. I’m starting here at home first, of course. I’m in conversations with a couple of grocery stores, but right now as we speak, they’re in restaurants. 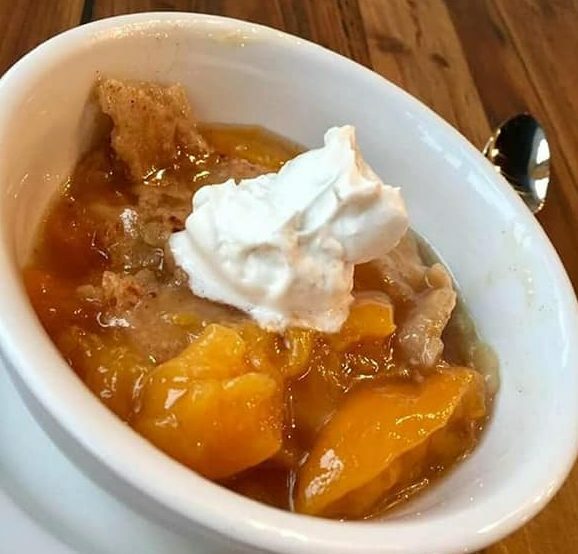 My vegan [cobbler] is in Trio, a plant-based restaurant in [Minneapolis] and Bunny’s Bar and Grill in St. Louis Park and northeast Minneapolis. They run specials with my cobblers. Pimento has picked up my peach cobbler, and we will also be partnering for their holiday menu — my cobblers will be included in that and at their stores. MSR: It seems that you’re speaking as someone who suddenly finds herself doing what she’s been meant to do her whole life? LP: And that is absolutely it. I launched Lutunji’s Palate under Voices of Effective Change because I envisioned that training center where I’m training these young moms. All along, I have been [working on] building this state-of-the-art charter school for young parents. Not to say that that’s not going to still happen, but it’s funny the shift that God has me focusing on this pie. And, I’ve been getting major hits. It’s crazy. There’s this huge vegan spokeswoman [Tabitha Brown]. She got a bit of my cobbler, did a testimony, and it got over 20,000 views. MSR: So what advice would you give to aspiring entrepreneurs? LP: Follow your dreams [and] stay focused and hopeful. Lutunji’s Palate is offering MSR readers a 10 percent discount on orders over $30 through January 5. Use code MSR19. Visit lutunjispalate.com to check out her offerings. God is good and you are using that creative gift. You’re rockin’ it, girl! So proud of and happy for you! God’s got you!